Here are Standards proposed for DNA evidence as a research component with reference to Genealogy Standards, 50th Anniversary Edition (2014), published by the Board for Certification of Genealogists. 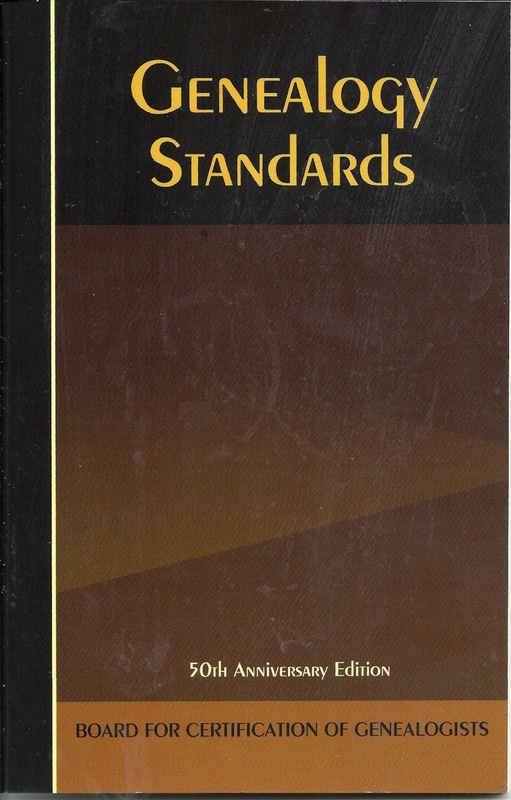 Having a copy of Genealogy Standards at hand would be very useful for reviewing the items! The BCG Genetic Genealogy Standards Committee invites public comments on the following draft (which also includes slight modifications to existing Standards, reflected in the questionnaire). See below for links. Thoughtful genealogists, please submit by 23 July 2018. All work products reporting genealogical conclusions—including those using DNA evidence—should meet the Genealogical Proof Standard and all relevant standards. The following standards, specific to DNA, do not stand alone. They are not the only standards that genealogists’ work should meet. Cross references identify the related existing, published standards. • Selective. Genealogists select DNA tests, testing companies, and analytical tools with potential to address the genealogical research question. • Targeted. Genealogists target test takers based on their DNA’s potential to answer a genealogical research question. 2. Using DNA test results. Genealogists consider all available relevant factors when they use DNA test results as a component of proving a relationship. Those factors include reported and typical amounts of shared DNA, sizes and locations of chromosomal segments, information about mutations, markers or regions that have been tested, number and genealogical expanse of people who were tested, and genetic groups, including meaningful triangulated groups. 4. Replicability of DNA test results. 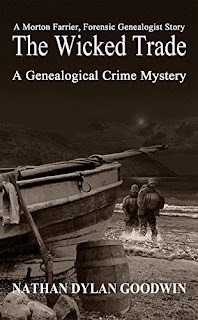 Genealogical reports of DNA test results enable others to assess their data and conclusions. 5. Integrating DNA and documentary evidence. Genealogists use DNA test results in conjunction with reasonably exhaustive documentary research. They assess the merits and shortcomings of both documentary and DNA evidence. They consider points of agreement and disagreement between and within documentary and DNA evidence. They use those assessments and comparisons to help resolve conflicts within their evidence, including conflicts within DNA evidence and between it and any documentary evidence. Nathan Dylan Goodwin. The Wicked Trade. Self-published, 2018. 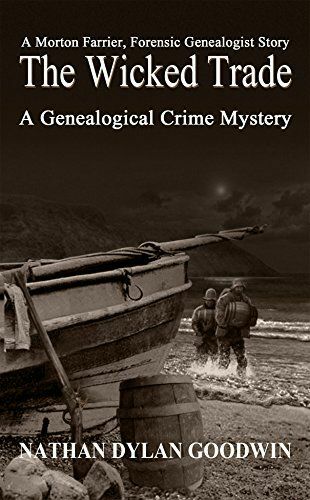 Goodwin scores again in the seventh of his Morton Farrier, Forensic Genealogist series. Possibly his most interesting case yet begins with Arthur Fothergill who wants to learn more about a formative period in the life of his great-grandmother Ann Fothergill. Even more important, who fathered her son? Arthur knows from family papers and an old newspaper source that by 1820, young Ann was living a reprehensible life in and out of prison for petty crimes. Morton's own bizarre family story continues to unfold. His daughter Grace turns one year old, the occasion for overseas visitors and the first meeting in forty years of Morton's biological parents. Some bafflement on my part: Why did Morton haul out Jack's old love letters to Margaret in front of everyone, letters that Margaret had never seen before? Insensitive and out of character, I thought. The DNA evidence of paternity was rather fuzzy since one of Ann's lovers died without issue; how did the use of online family trees and Lost Cousins prove the father of Ann's son (only a family historian would question this!). Nevertheless, Goodwin and Morton do lively and engaging work pulling off surprises here. You can find out more about The Wicked Trade and other books on Goodwin's website: www.nathandylangoodwin.com; orders for paper, audio, or e-book versions will go through Amazon.